A Taxicab is a mode of public transportation used by a single passenger or a group of passengers. A Taxicab is also known as a taxi or a cab that moves passengers between locations of their choice. Commuters prefer to book taxis through its Taxi Dispatch Software or Mobile Taxi App rather than calling a taxi by waving a hand in the air. This saves precious time and also gives a comfort ride. Today we are going to discuss the Top Taxi software companies in UK. Let’s take a look at the advances seen in the world of technology which ensures you to start a taxi business with the dream of a huge success. Over 10 years of experience in automating operations within navigation-based businesses has allowed the company to create a ground-breaking Intelligent Auto Allocation module that provides their customers with a significant competitive advantage. It guarantees immediate, more accurate, job distribution without the human errors that can occur under building pressure. Echo offers customizable branding on iPhone or Android mobile apps for passengers and drivers. They offer the branding, publishing, store search optimization, support, and maintenance, to provide you with a truly unique looking app. Echo’s easy-to-use apps will help you increase bookings and make your business more accessible. The user-friendly interface of both mobile applications and web portal gives your corporate clients and regular passengers a new facility to book a car in just 3 taps. Inspire your Corporate clients and regular passengers to book by sending them to push notifications and marketing messages. This can improve your retention rate by up to 25%. The user-friendly mobile app for drivers makes it possible to accept orders and find addresses on the map quickly, saving time for each job. It also provides the Third Party Integration that gives you more bookings from partner networks. Mini Taxi Apps is one of the leading taxi software companies in UK with over 4 years of expertise and more than 500 websites to their name. They are Taxi / Minicab Website designing/app development company with primary focus on the web and mobile technologies for Minicabs, Taxis, Chauffeurs and Airport transfer companies. The company has taken the time to talk to hundreds of minicab / private hire owners who are looking for an Online Minicab Website Designs without the extreme fees. Moni Taxi Apps offers full website designs that make the ideal partner for any minicab or private hire company and install online fare calculator for free. Furthermore, Mercury 2 is the complete booking and dispatch software solution for your taxi, private hire or chauffeur business. Their system gives you everything you need for you, your office and your drivers. The power to book a job in seconds, dispatch to the closest driver, create and run reports that put you in total control of your business. It provides a free onsite demonstration to see it all for yourself. Envoy Taxi Dispatch System is a UK based leading company. The company specially designed the software to meet the requirements of taxi cab trade of Europe. Their booking, dispatch, and management systems are suitable to run taxi business in the UK and other European countries. The Android driver’s app is very user-friendly and can be installed on any Android mobile phones or PDAs. The Taxi Dispatch Software allows a controller to choose auto or manual dispatch at the time of booking. The dispatch engine has intelligent dispatch algorithm to give you peace of mind when it comes to auto dispatch. Our first out rule will automatically choose the longest waiting suitable vehicle. The nearest dispatch finds the nearest suitable vehicle to the job. Cab Despatch is one of the prominent Taxi software companies in UK they provide industry leading booking & dispatch software for the private hire and taxi industry. They understand the needs of running a modern day cab office, all of them have worked in the cab industry and have a wealth of experience not just with IT but all of the day-to-day aspects of running a busy cab company. 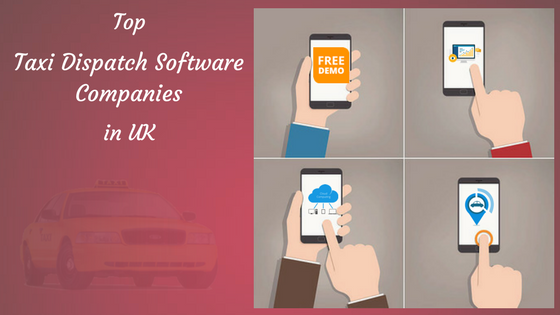 Whether you are owning a taxi business or planning to start up, above all the Cab Management System or Taxi App development companies provide the excellent Taxi Dispatch Software Solutions for your taxi business. These all Taxi Dispatch Software companies do not only get the job done but ensure the quality of the Software or Mobile Taxi Application.